Protect your investment with our specialty boat trailer bunk carpet in 12” or 24” widths. Our Boat Trailer Bunk Carpet features the innovative Dura-Lock backing and fiber locking system that provides the ultimate in wear resistance. 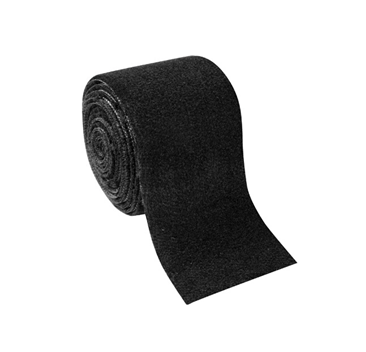 It is dense, durable low pile, felt-like trailer carpet material made from recycled plastic. This boat trailer bunk carpet is made to handle repeated abrasion and exposure to the elements. Our boat trailer bunk carpet resists mold, mildew and fading. Make certain that the bunk carpet you choose to protect your boat is engineered trailer bunk carpet designed to withstand years of abuse from elements and wear. Our trailer carpet can also be used for boat lift carpet or personal watercraft trailer carpet. Our Boat Trailer Bunk Carpet is the right product for the job. Our boat trailer bunk carpet is made of a durable, abrasion resistant synthetic material with a specialty fiber locking backing that is designed to be stapled, not glued. This gives you long lasting trailer carpet protection and is easy to install with just a staple gun and stainless steel staples. 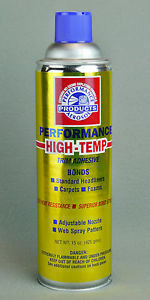 It retains less water and has great resistance to pressure and wear. This trailer carpet folds easily around trailer boards for fast installation. Boat trailer bunk carpet provides protection against tearing and keeps your hull from scratching. It resists moisture in fresh or salt water. Most OEMs sell their trailers with trailer bunk carpet, not boat carpet or astroturf, as they know it is important to protect their customers’ investment. Authentic trailer bunk carpet from BoatCarpet.com is better for your boat than rubber backed marine carpet. Some places sell rubber backed boat carpet cut into strips. This is not a long term solution, as the rubber backing and the carpet pile wear out from the repeated abrasion from trailering. This can expose you to hull damage before you notice it. Boat trailer bunk carpet with Dura-Lock is different. Due to the low and dense profile, it will give you years of durability. Protect your boat investment with the best in trailer bunk carpet. Boat Trailer Bunk Carpet is easy to replace. Replacing boat trailer bunk carpet is a snap. You only need a screwdriver to remove the original staples and a staplegun with stainless steel staples. (If it was glued on, you will need a scraper to get the old carpet off.) The 12” or 24” size allows coverage for almost all boat trailer bunk carpet projects. Next, wrap the new trailer bunk carpet around your boards and staple on the underside when possible with a good staplegun and stainless steel staples. That’s it! You can install new boat trailer bunk carpet in an afternoon and protect your boat for years.